This article was originally published on Connect Sport here. This is a short research note prepared by Dr Dan Parnell and Dr Peter Millward, of ConnectSport, which offers an insight into a recent special issue on sport management in an era of austerity, published in the European Sport Management Quarterly journal. The research note is based on a special issue edited by Dr Dan Parnell, Professor Karl Spracklen and Dr Peter Millward, which can be found here: Parnell, D., Spracklen, K., & Millward, P. (2016). Special Issue Introduction: Sport management issues in an era of austerity. European Sport Management Quarterly. Following Blyth’s (2013, p.2) description, we see austerity as: ‘a form of voluntary deflation in which the economy adjusts through the reduction of wages, prices and public spending to restore competitiveness which is [supposedly] best achieved by cutting the state’s budget, debts and deficits’. Why is this an issue for sport? The impact of the economic crisis which has engulfed Europe since 2008 and the subsequent ‘austerity measures’ which have reduced local and national spending on many public services focused on the practices of sport management, has received only scant scholarly attention. A previous ConnectSport article sheds some light on how austerity can impact sport. There is no doubt public, private and third sector organisations, from grassroots to elite levels have faced challenges as a result of austerity (Parnell, Widdop and King, 2015). Reduced finances and significant changes to public funding has meant many within sport are being challenged to deliver more, with limited resources and evidence their successes. Indeed, the search (and scrutiny) for value for money is definitely on! As a result, the special issue is very timely for sport practitioners and policy-makers. What does the special issue cover? This special issue provides insights on the impacts of policy in an era of austerity utilising case studies from two sporting organisations in two different European countries. The first paper, ‘Implications of austerity measures on National Sport Federations: The case of Greece’ by Chrysostomos Giannoulakis, Dimitra Papadimitriou, Konstantinos Alexandris and Shea Brgoch discusses the consequences of forced austerity measures, and the implications of having to cut jobs in order to help their heavily indebted economies. In the second article, by Catherine Walker and John Hayton overview the situation of a third sector disability sport organisation in the United Kingdom (UK), describing how this organisation has navigated austerity by adjusting management practices. The issues raised in these two contributions present a wide range of challenges and questions for those who research in, and on the impact of austerity in sport management. The biggest threat of our time? Some might reasonably argue that austerity-driven policy measures offer the key challenge to the sport disciplinary area so far in the 21st century – and yet, thus far, a clear gap in research around the issue exists. Our scholarly and intellectual aim in collating this special issue is to trigger ideas, debate and interest with a view to filling this space. How do we in community sport and research move forward? – Further empirical research on the impacts of austerity measures on sport policy cuts: There is a shortfall of quantitative and qualitative research that explores the physical impacts of austerity cuts to sport policy budgets across Europe. The Continent has various levels of quality data which exist on this, but in countries such as England seemingly robust data of this nature exists in the Active People Survey. Data of this nature needs to be utilised and mined to draw up a localised picture of whether or not – or to what extent – sport policy cuts have reduced sport participation at a grassroots level. – The impact of sport policy cuts on ‘hard-to-reach’ populations: Some sectors of European societies are well recognised to be ‘hard to reach’ with respect to facilitating physical activity, particularly including sport participation. The evidence base that exists about those who have suffered through austerity measures might suggest there is overlap amongst the two groups. 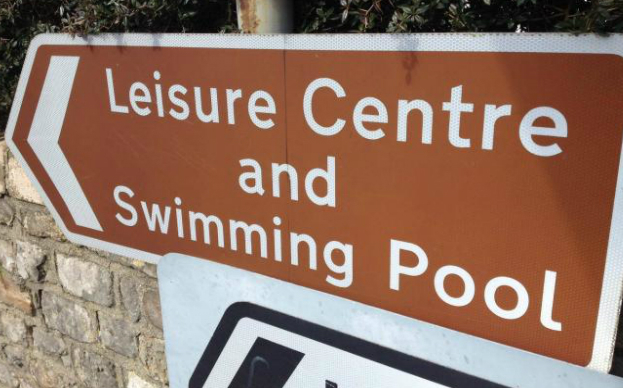 Some state-resourced sport and leisure facilities have closed or had opening hours reduced as a result of reduced state resource, particularly if they are ‘committee-serving’ rather than ‘profit-making’. We hope this special issue may support future research in listening to, and analysing the narratives of those who used those sports facilities that have closed as a result of budgetary cuts, especially if those populations are part of the ‘hard-to-reach’ populations. – Managerial dilemmas faced by decision-makers: The processes of gaining ‘more’ (or at least the same) for less presents real challenges for senior and middle managers of state sport facilities on all geographical levels across Europe. Yet their voices – as concerns and/or challenges – have so far not been heard. A potential research avenue which could spring from this special issue might be to empirically and theoretically understand such dilemmas. – Opportunities for public-private partnerships: The reduction in public spending in areas such as sport facilities is assumed to be negative. Yet such changes in the nature of budgets may open up possibilities for new public-private partnerships, which throw up a host of new questions for sport management scholars. We hope this special issue might spur on future research in this area. – Challenges for elite sport provisions and future achievements: So far, the suggestions for further research have veered toward amateur sport participation. Yet this is but one (sizeable) part of the web of sport in Europe. How might budgetary cuts and changes affect elite sport provisions and impact of future achievements? The voices of coaches and athletes need to be heard to understand this complex set of management issues. – Increased accountability of public resources on sport/sport-related projects: The public’s awareness of austerity measures has increased media scrutiny on the use of ever-scarcer state resources spent on sport and sport-related projects. There have been widespread calls for ‘accountability’ of how such resources are spent. What does this mean for those in sport management positions? Are new ‘surveillance’ measures put in place, are they helpful (and to who they are helpful/unhelpful?) and how are they managed by key stakeholders in the sport management process? – University and Third Sector partnerships: We suggest that this period of ‘super-austerity’ (2015–2020) (Parnell et al., 2016) could provide an opportunity or the platform for sport management to heavily influence the Third Sector sport industry. Academic institutes, particularly those in higher education, are facing their own respective challenges regarding reduced research funding and heightened need for impact. As such, universities may take opportunities to develop meaningful applied research activities and partnerships with Third Sector sport organisations (Parnell et al., 2015); developing university and Third Sector partnerships may help organisations respond to the economic downturn and in turn develop research outputs and tangible impact within the industry . Our hope for the special issue is to trigger ideas and interest for a number of potential research contexts to develop and extend our understanding. Ultimately, we feel this important debate has just started and there is much more to add. To do this, universities have a real opportunity to develop meaningful, collaborative, research-based partnerships that have a high probability of impact in sport-based organisations which need strategic and operational support (Parnell et al., 2015). Finally, we challenge researchers to extend this preliminary list of ideas and take up the challenge to address this gap in academic and policy understanding. Forthcoming conference: Readers, whether researchers, policy-makers or practitioners may be interested in the forthcoming Sport and Politics Study Group Annual Conference at FC United, hosted by Manchester Metropolitan University: Sport Policy and Politics: The Inequality Gap. Sport and Politics Study Group Annual Conference, Thursday 16 and Friday 17 March 2017 at FC United. To find out more – click here. This research note is based on the following article: Parnell, D., Spracklen, K., & Millward, P. (2016). Special Issue Introduction: Sport management issues in an era of austerity. European Sport Management Quarterly – found here (open access is here). Dr Dan Parnell is an active researcher and senior lecturer in Business Management at Manchester Metropolitan University. His research interests cover the sport and leisure sectors within the UK and he works globally on a number of projects, in particular the social role of sport. Contactd.parnell@mmu.ac.uk or follow @parnell_daniel on Twitter or access his research here. Dr Peter Millward is Reader in Sociology at Liverpool John Moores University. Many of his research interests relate to sport and he has published widely in this area. Contactp.millward@ljmu.ac.uk or follow @PeteMillward79 on Twitter or access his research here. Previous Opinion: Can council-funded sport survive austerity?